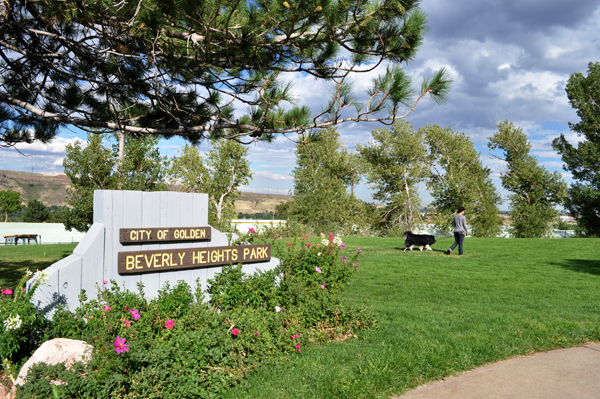 The Beverly Heights neighborhood park was built in 1984. Located at the foot of Mount Zion, bicycle enthusiasts often whiz by after descending the mountain, with a view of the Colorado School of Mines “M” rising in the background. 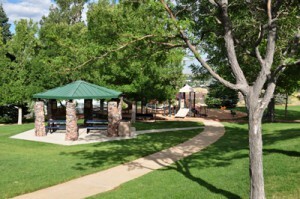 There is a soft surface Pavilion Walking Loop ideal for those looking to get a little excercise. Your dog must be leashed at the park, but a dog-friendly drinking fountain keeps him cool on hot days. Deer and elk sightings are common in the dawn and dusk hours, so keep your eyes peeled for wildlife.